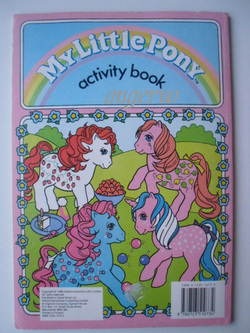 © 1985 Hasbro Inc. 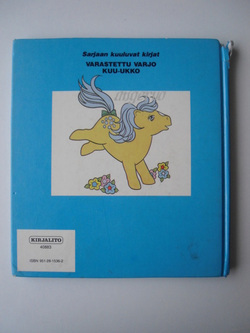 In Finnish: Oy Kirjalito AB 1986. 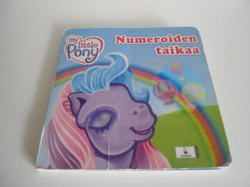 Translating into Finnish: Laila Niukkanen. 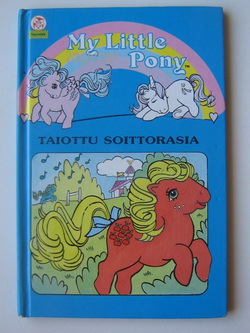 Original: "My Little Pony. 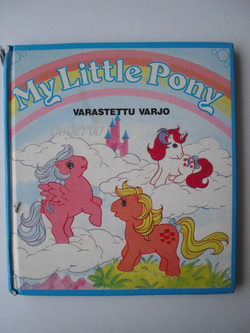 The Stolen Shadow". 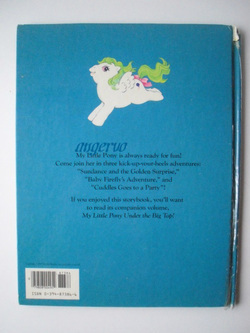 - "Sundance & the Golden Surprise"
- "Cuddles Goes to a Party"
© 1986 Hasbro Inc. 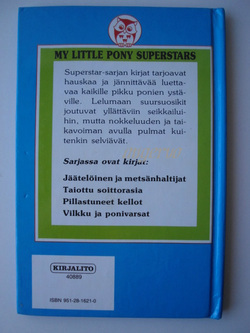 In Finnish: Oy Kirjalito Ab 1987. 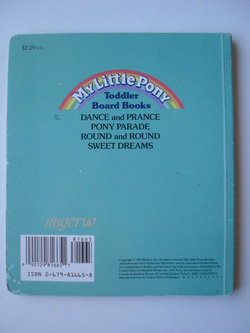 Original: "The Magical Music Box". 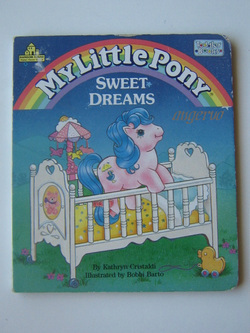 © 1986 Hasbro Industries. 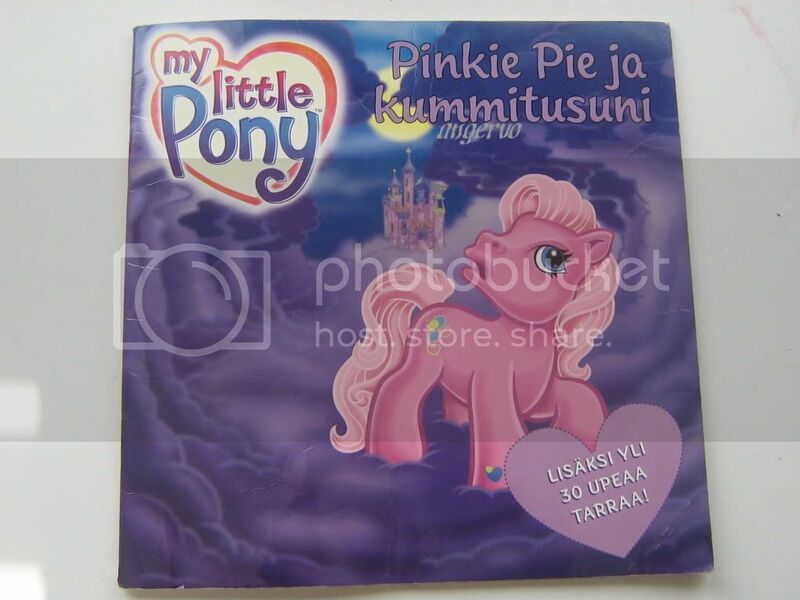 In Finnish: Oy Kirjalito Ab 1987. 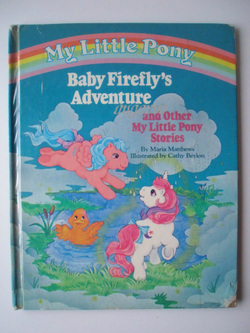 Original: "A Problem for the Baby Ponies". 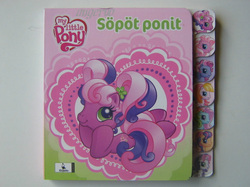 In Swedish: Select/Hemmets Journal Ab 1986. 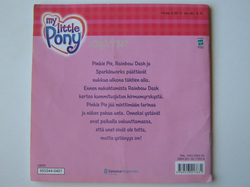 ℗ 1984 IJE Music, Inc. Made in Denmark by Tocano. 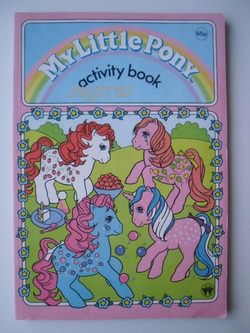 Original: "Picnic at Paradise Estate"
This book concentrates on the ponies outside US in 1981-1999 with price guide. 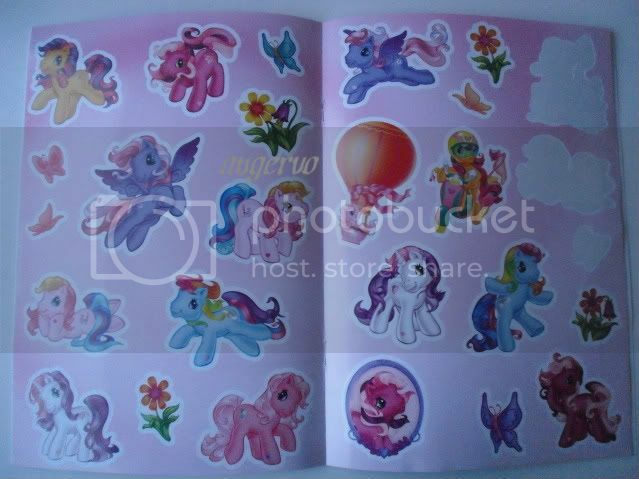 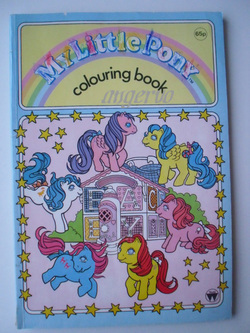 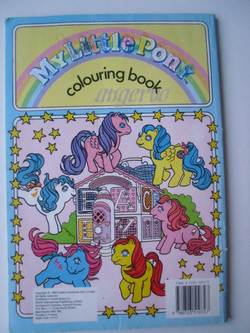 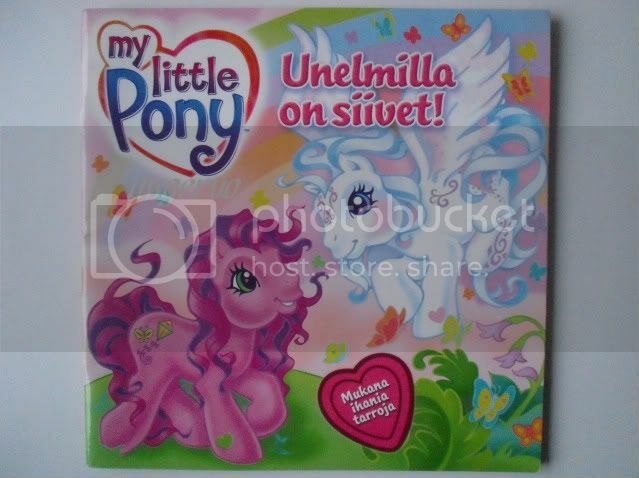 "An Unofficial full color illustrated collector's price guide to the first generation of MLP including all US ponies, playsets and accessories released before 1997." 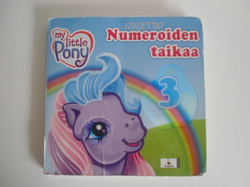 Original: "Counting 1 to 10"
This book is for playing scene. 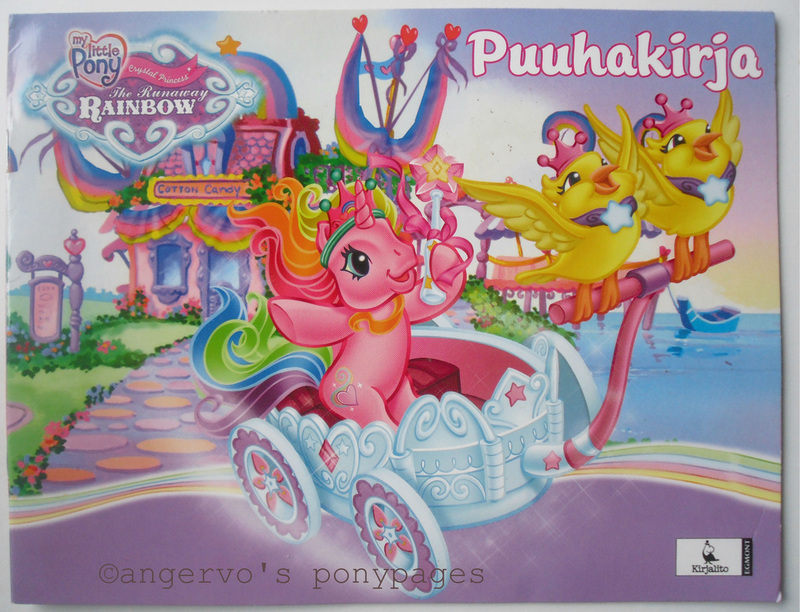 © 2003 Hasbro, Inc. 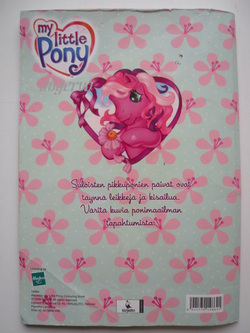 In Finnish: Sanoma Magazines Finland Oy 2004. 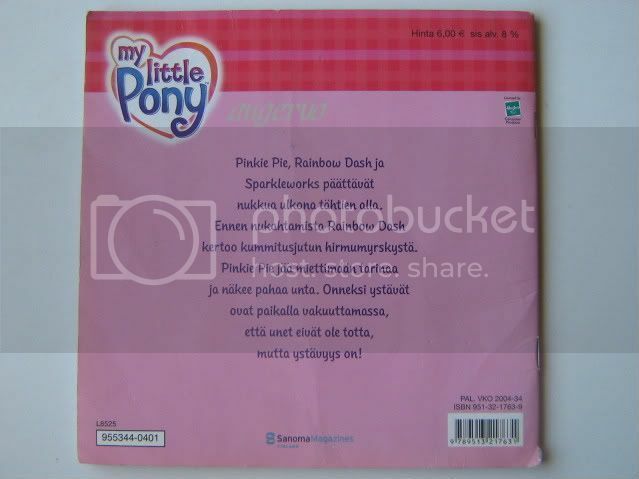 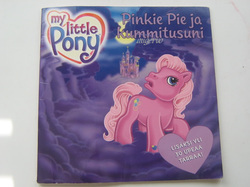 Original: "My Little Pony, Pinkie Pie's Spooky Dream"
© 2004 Hasbro Inc. 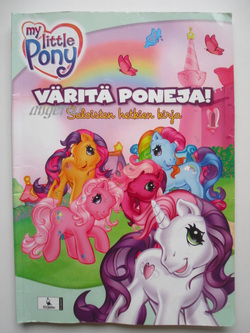 In Finnish: Sanoma Magazines Finland Oy 2006. 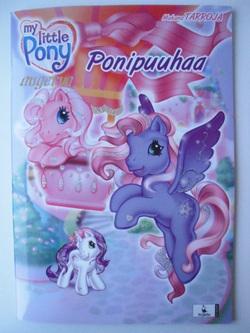 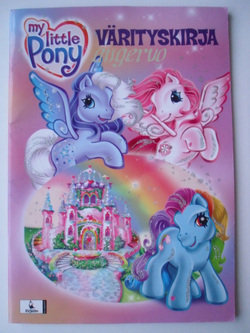 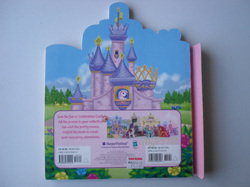 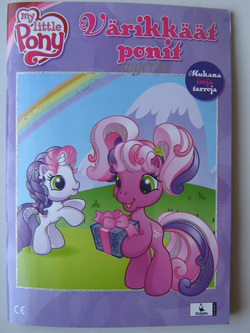 Original: "My Little Pony, Wishes Do Come True"
© 2004 Hasbro Inc. 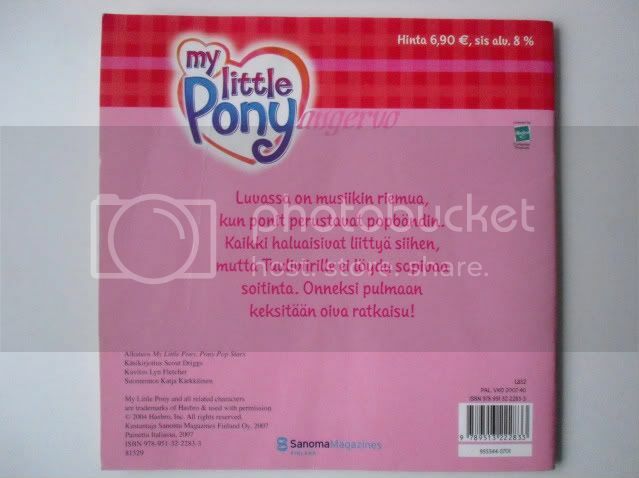 In Finnish: Sanoma Magazines Finland Oy 2007. 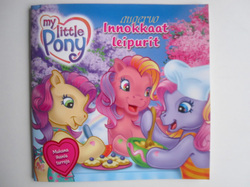 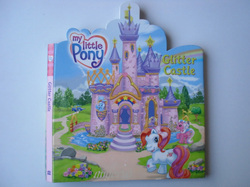 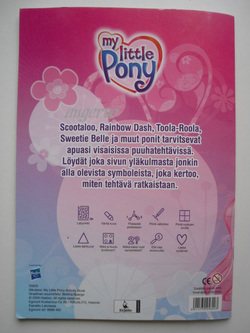 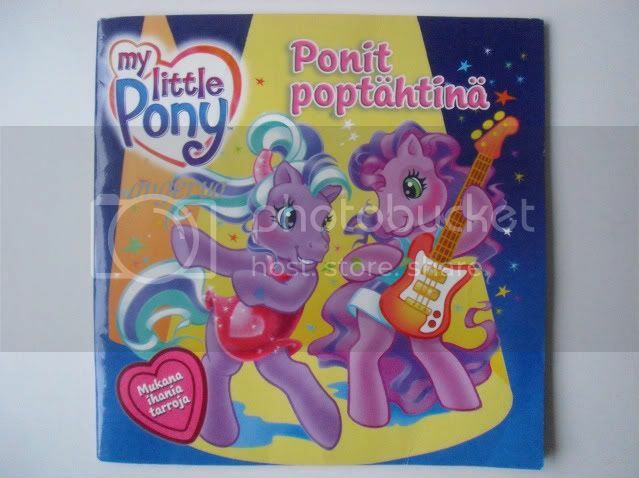 Original: "My Little Pony, Pony Pop Stars"
© 2009 Hasbro Inc. 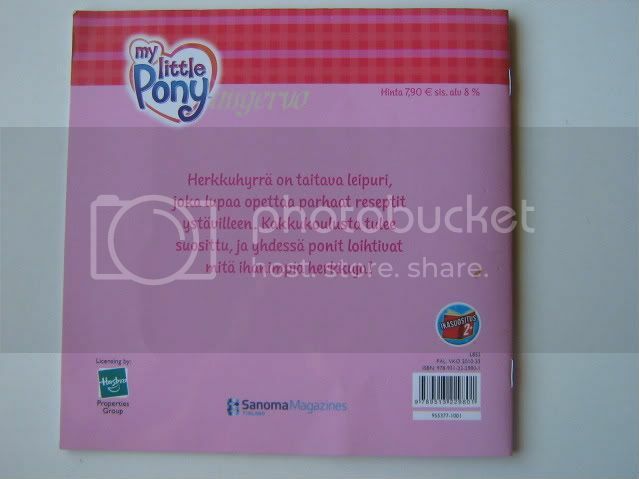 In Finnish: Sanoma Magazines Finland Oy 2009. 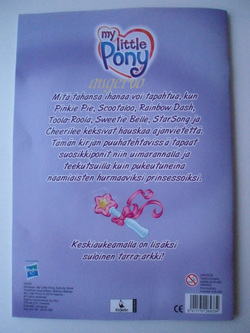 Original: "My Little Pony, A Nightmare Excursion"
© 2009 Hasbro Inc. 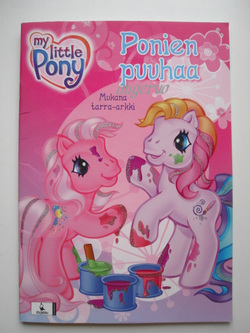 In Finnish: Sanoma Magazines Finland Oy 2010. 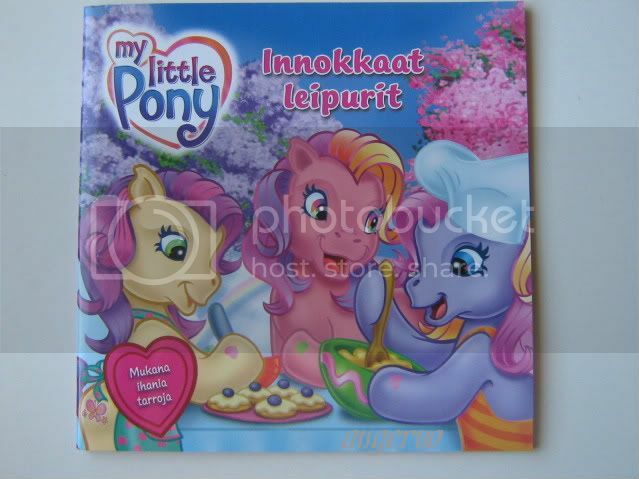 Original: "My Little Pony, Triple Treat's Sweet School"
This coloring book -packet include also in wooden colors but they have disappeared.